Chromosome 16 contains thousands of genes. The role of these genes is to guide protein production, which impacts a variety of functions in the body. Unfortunately, many genetic conditions are related to problems with the genes on chromosome 16. Changes in the structure or number of copies of a chromosome can cause problems with health and development. Chromosomes are the structures that hold your genes, which provide instructions that guide the body's development and functioning. There are 46 chromosomes, occurring in 23 pairs, and containing thousands of genes. Within each pair, one is inherited from the mother and one from the father. 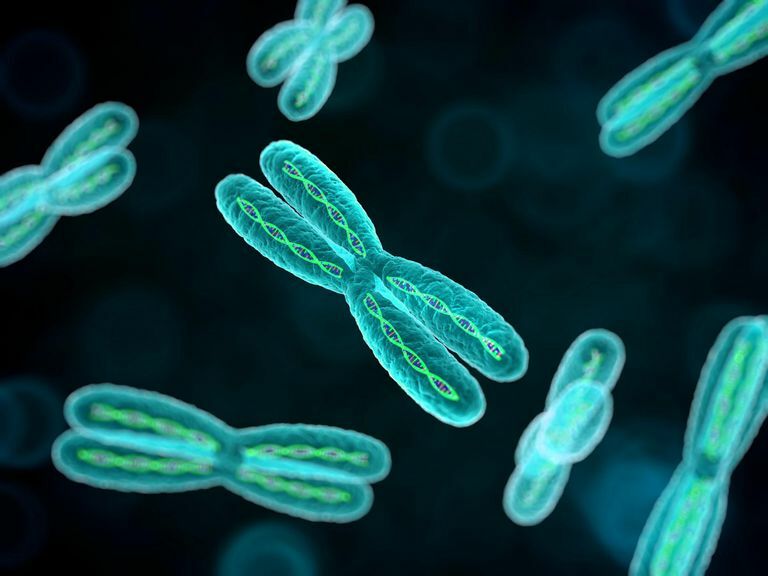 While everyone should have 46 chromosomes in every cell of the body, chromosomes can be missing or duplicated, resulting in missing or extra genes. These aberrations can cause problems in health and development. The following chromosomal conditions are associated with chromosome 16. In trisomy 16, instead of the normal pair, there are three copies of chromosome 16. Trisomy 16 is estimated to occur in more than 1 percent of pregnancies, making it the most common trisomy in humans. Unfortunately, this also makes trisomy 16 the most common chromosomal cause of miscarriages as the condition is not compatible with life. There is also an increased risk of premature birth for infants with trisomy 16 mosaicism. In this disorder, part of the short (p) arm of chromosome 16 is missing. A disorder associated with 16p- is Rubinstein-Taybi syndrome. In this disorder, part of the long (q) arm of chromosome 16 is missing. Some individuals with 16q- may have severe growth and developmental disorders, and anomalies of the face, head, internal organs, and musculoskeletal system. This is the deletion of a segment of the short arm of the chromosome of about 25 genes, affecting one of the pair of chromosome 16 in each cell. Individuals born with this syndrome often have delayed development, intellectual disability, and autism spectrum disorder. However, some have no symptoms. They can pass this disorder to their children, who more have more severe effects. This is a duplication of the same 11.2 segment and may have similar symptoms as the deletion. However, more individuals with the duplication have no symptoms. As with the deletion syndrome, they can pass the abnormal chromosome to their children who may show more severe effects. There are many other combinations of deletions or duplications of parts of chromosome 16. More research needs to be done on all of the disorders of chromosome 16 to better understand their full implications for the individuals affected by them. A Brief (and Basic) Overview of Chromosome 16 Disorders. Disorders of Chromosome 16 Foundation. Chromosome 16. U.S. National Library of Medicine Genetics Home Reference.